Looking to fire up your kitchen with a pure blend of innovative design and functional benefits? The BergHOFF design team has created the answer with Gem, a collection that focuses on performance, durability and versatility. Inspired by the sleek, streamlined shapes used in high-end car design, Gem brings an industrial look and feel to the kitchen. Its clean lines and masculine colour combinations uphold a raw style that's sure to turn heads. 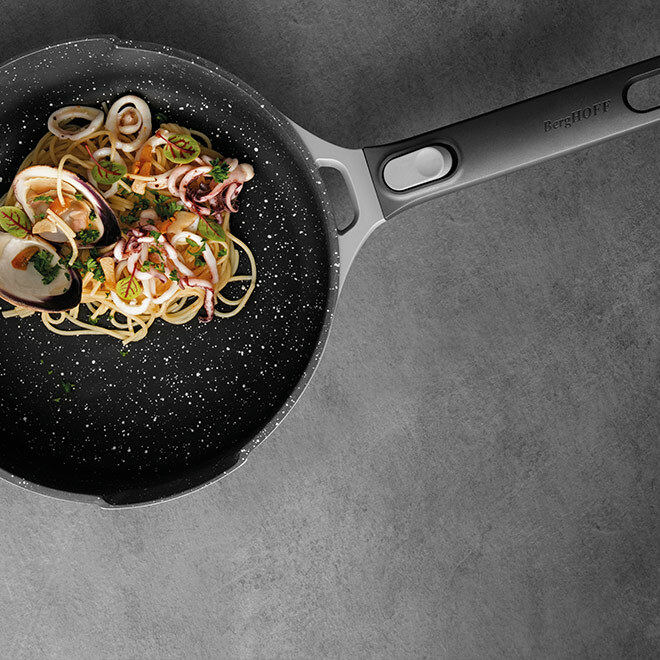 Based on one of BergHOFF's legacy collections, this series revives the durability of a true classic while incorporating the innovation of a modern cookware set. 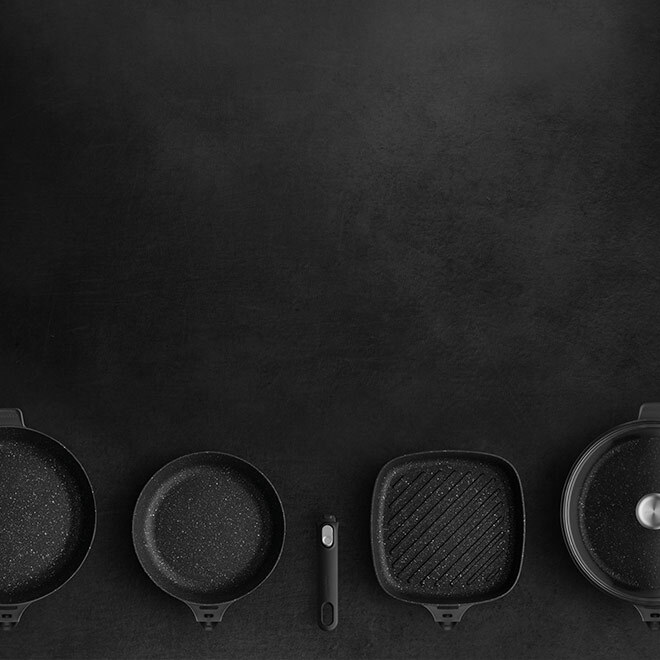 Gem is the essential ingredient you can count on to inspire your everyday cooking adventures with high-quality materials and attention to detail. 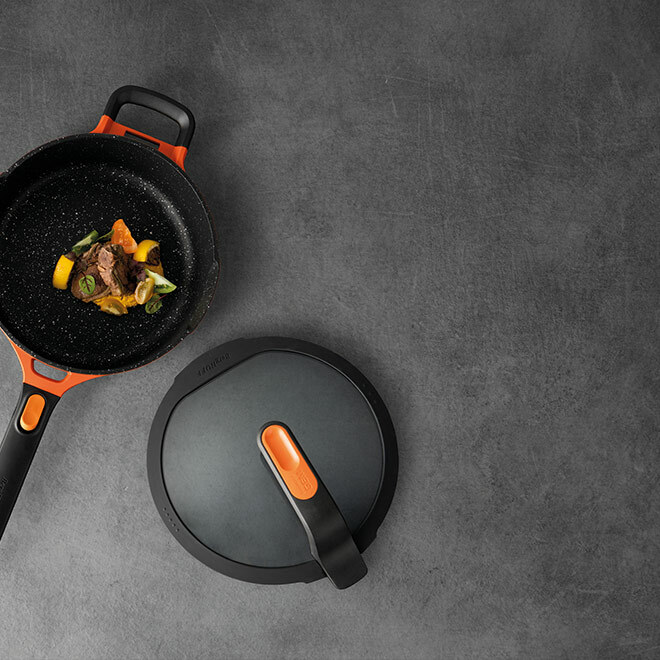 It brings a functional simplicity to the table that supports any cooking style or approach. Whatever your taste, Gem is right there by your side to ensure a comfortable and gratifying experience. Cooking with Gem is cooking with ease. 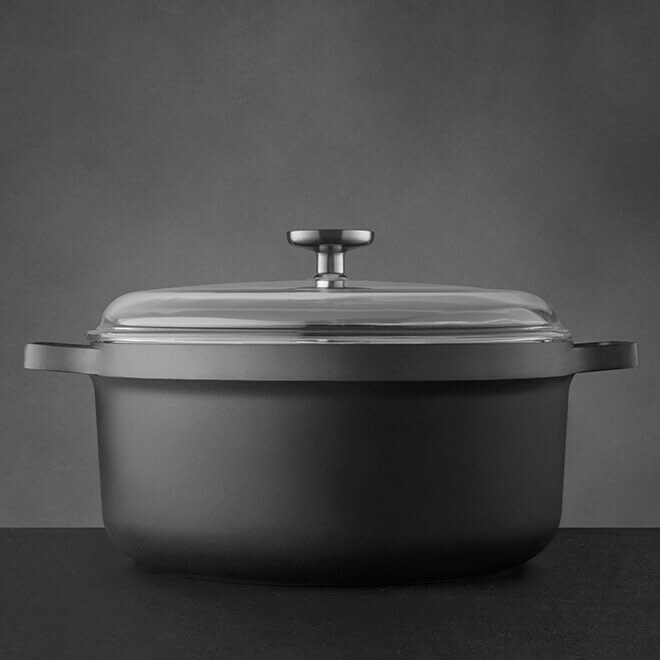 A cook who selects the Gem cookware loves products that centre around functionality and comfort. 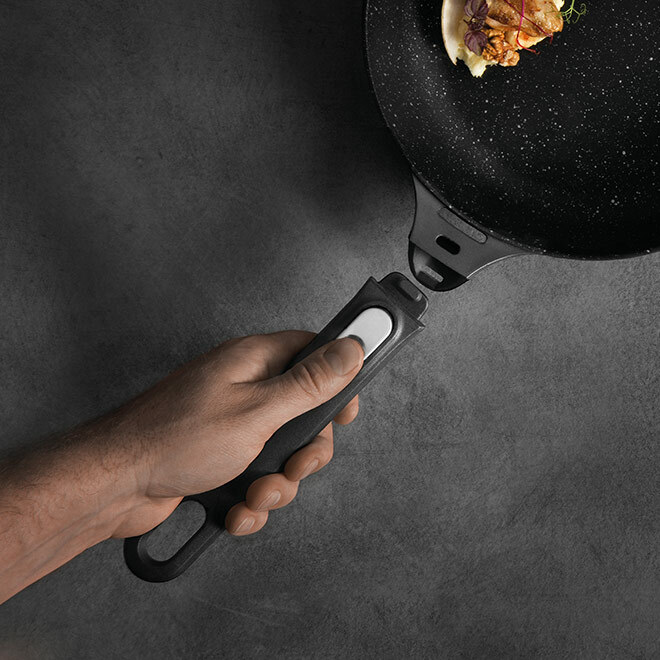 Convenient features such as the light materials, the multi-layered non-stick coating, the energy-efficient bottom and detachable handles are part of the Gem identity and make this line a pleasure to cook with. With just a few small details the Gem products are able to make a big difference. 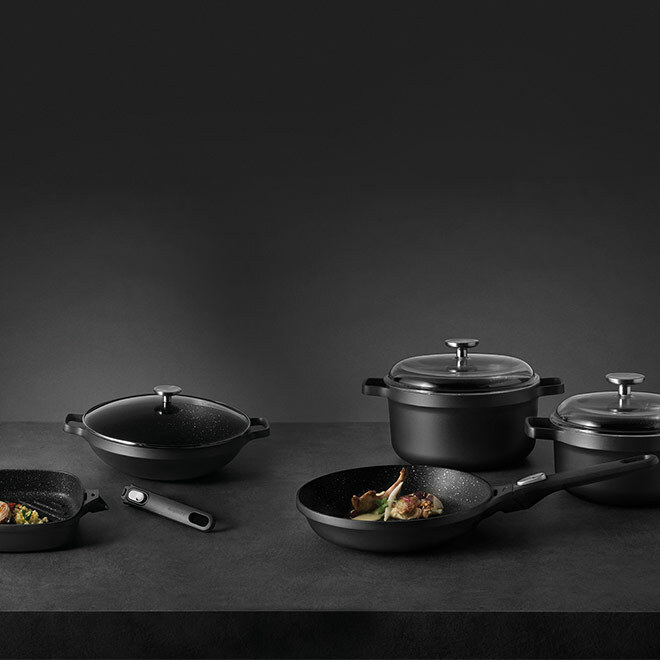 The minimalist, smooth lines used throughout the collection make a stylish yet powerful statement that adds punch to numerous kitchen classics. This assertion is further reinforced by the stainless steel accents that give the series an added durability and high-quality finish.